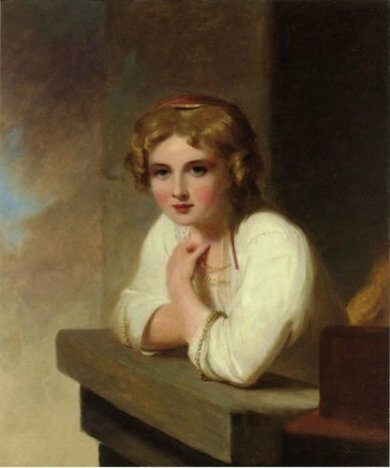 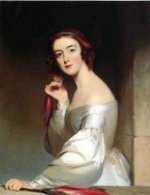 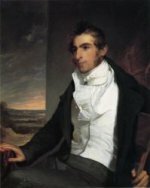 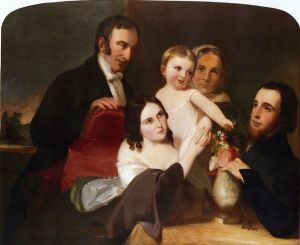 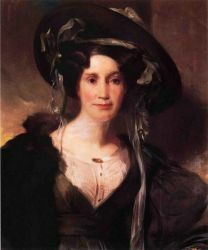 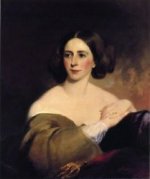 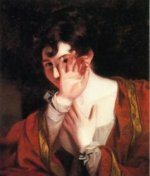 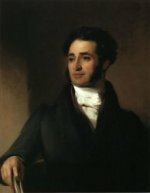 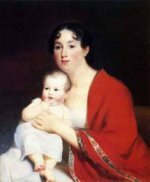 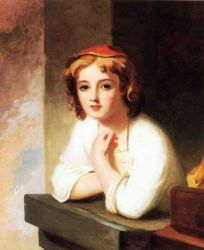 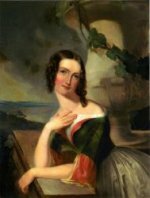 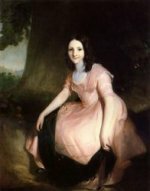 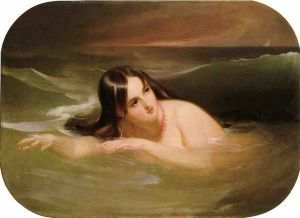 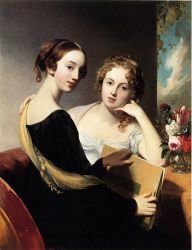 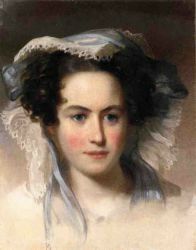 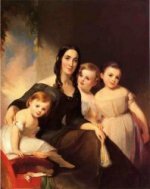 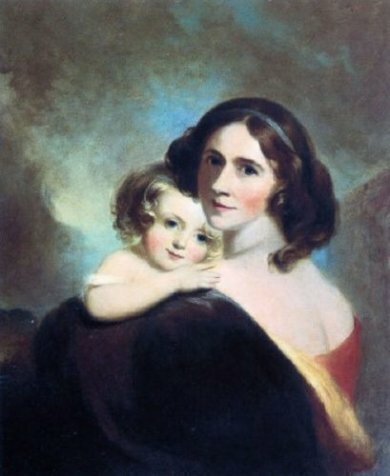 Thomas Sully (June 19, 1783 – November 5, 1872) was a well-known American (English-born) painter, mostly of portraits.Sully became a professional painter at age 18 in 1801. 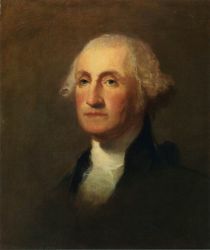 He studied face-painting under Gilbert Stuart in Boston for three weeks. 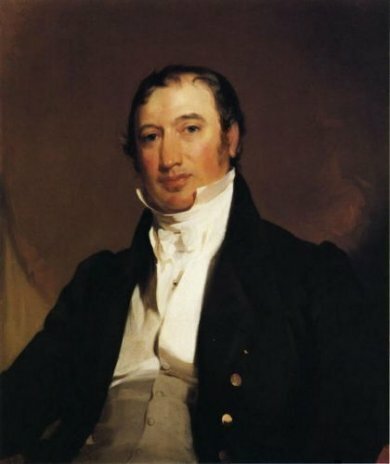 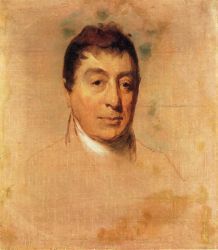 After some time in Virginia with this brother, Sully moved to New York, after which he moved to Philadelphia in 1806, where he resided for the remainder of his life. 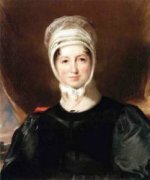 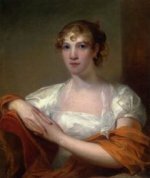 In 1809 he traveled to London for nine months of study under Benjamin West. 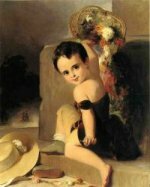 Sully's 1824 portraits of John Quincy Adams, who became President within the year, and then the Marquis de Lafayette appear to have brought him to the forefront of his day. 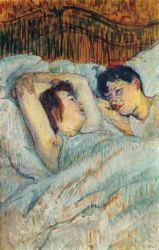 (His Adams portrait may be seen in the National Gallery of Art, Washington.) Many famous Americans of the day had their portraits painted by him. 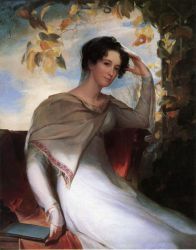 In 1837-1838 he was in London to paint Queen Victoria at the request of Philadelphia's St. George's Society. 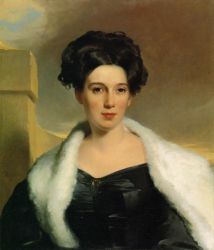 His daughter Blanche assisted him as the Queen's "stand-in", modeling the Queen's costume when she was not available. 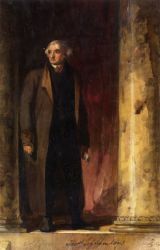 One of Sully's portraits of Thomas Jefferson is owned by the Jefferson Literary and Debating Society at the University of Virginia and hangs in that school's Rotunda. 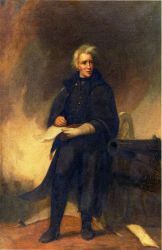 Another Jefferson portrait, this one head-to-toe, hangs at West Point, as is his portrait of Alexander Macomb (American general). 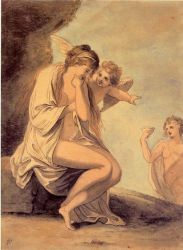 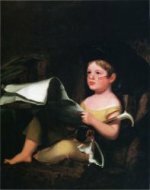 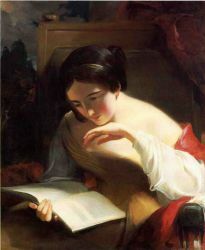 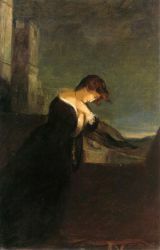 Sully's own index indicates that he produced 2631 paintings from 1801, most of which are currently in the United States. 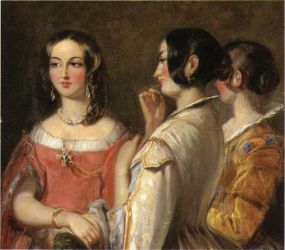 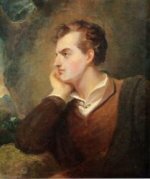 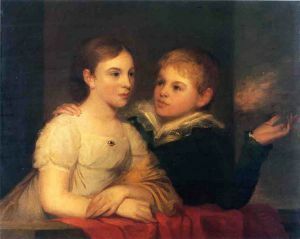 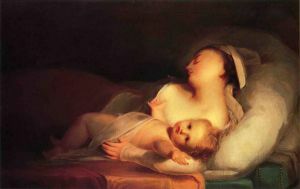 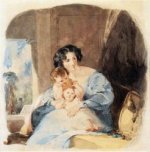 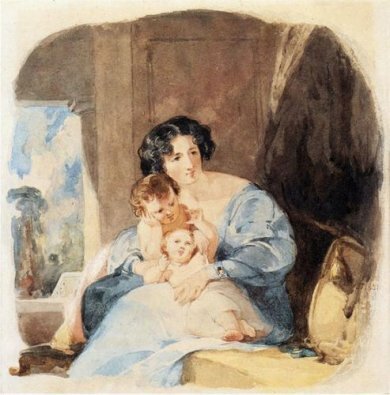 His style resembles that of Thomas Lawrence. 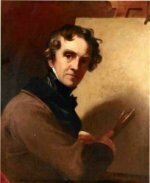 Though best known as a portrait painter, Sully also made historical pieces and landscapes. 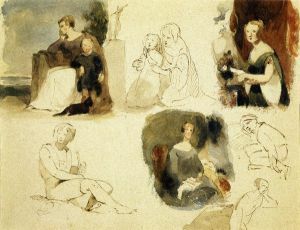 An example of the former is the 1819 Passage of the Delaware, now on display at the Museum of Fine Arts, Boston.